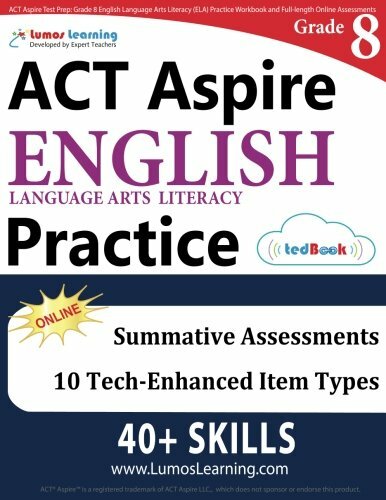 This book is designed to help students get ACT Aspire assessment 2017-18 rehearsal along with standards aligned rigorous skills practice. Students will have the opportunity to practice questions related to all the critical english language arts (ELA) learning objectives included in the common core state standards (CCSS) and college and career readiness standards (CCRS). If you have any questions about this product by Lumos Learning, contact us by completing and submitting the form below. If you are looking for a specif part number, please include it with your message.